Publications – Annette Joseph-Gabriel, Ph.D.
"Gerty Archimède and the Struggle for Decolonial Citizenship in the French Antilles, 1946-51." 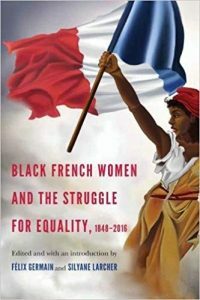 In Black French Women and the Struggle for Equality, 1848-2016, University of Nebraska Press, 2018. Gerty Marie Bernadette Archimède was born in Morne-à-l’Eau, Guadeloupe, on April 26, 1909. She studied law in Paris and was called to the bar in Point-à-Pitre in 1939. She represented Guadeloupe in the French National Assembly from 1946 to 1951 as a member of the Communist Party. Alongside other Antillean deputies, including Aimé Césaire and Rosan Girard, she argued for laws and reforms that would be favorable to agricultural workers, women, and children in the Antilles, often facing staunch opposition from her metropolitan colleagues. In my reading of Archimède’s contributions over five years of debates in the National Assembly, I show that her vision of departmentalization was about more than an extension of French rights and protections to the overseas departments. It was, fundamentally, a means to claim a decolonized citizenship that would disrupt and ultimately replace the colonial structures that continued to determine and shape the economic, social, and political realities of France’s newest departments. "Teaching African American Studies in the US and the UK," Journal of American Studies 52 (2018): 528-554. This is the first in what the associate editors hope will become a series of transatlantic exchanges about American studies pedagogy. 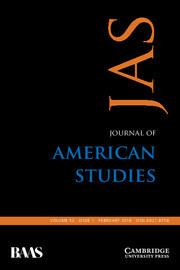 Conducted in the four months between January and April 2017, the discussion encompasses the political significance of African American studies, the role of identity in the shaping of curricula, student responses to those curricula, and the challenges encountered by teachers at a variety of career stages and in a range of educational and geographic locations. "'Ce pays est un volcan': Saint-Pierre and the Language of Loss in White Creole Women's Narratives." 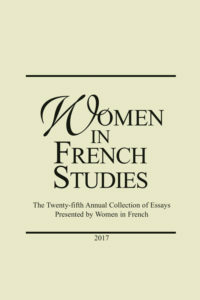 Women in French Studies 25 (2017): 13-28. The 1902 eruption of Mount Pelée is a powerful and enduring symbol in Martinican literature. In writings by white creole authors, the volcano’s destruction of Saint-Pierre stands in as a symbol for the abolition of slavery and the loss of béké economic and political power. The novels Cœurs martiniquais and Le Sang du volcan, highlight complex and evolving relationships between white creole women and their das, and show both the gendered nature of colonial conquest and the blurring of color lines between Saint-Pierre’s women on the eve of the volcanic eruption. "'Tant de silence à briser': Entretien avec Evelyne Trouillot." Nouvelles Etudes Francophones 32.1 (2017): 82-94. Avec ce dialogue, j’ai voulu mettre en relation passé et présent, fiction et réalité afin de souligner les principales questions qui ressortent de l’ensemble de l’oeuvre de Trouillot. Notre discussion s’est organisée autour de quatre thèmes. Dans “Haïti: L’espace et la place,” Trouillot nous parle de l’Haïti que l’on retrouve dans ses romans, une Haïti “complexe et r.elle” qui nous demande d’aller au- delà des images stéréotypées, propagées par les médias occidentaux. “Écrire des Antilles” permet à l’auteure de placer son pays en relation avec le reste des Caraïbes et d’aborder les nombreuses traversées (géographiques, linguistiques) qui se font dans et à travers ses textes. Les deux derniers thèmes, “Parole de femme” et “Le futur du passé,” comportent des réflexions sur l’écriture féminine, la nécessité de bien saisir l’humanité des esclaves, le rôle de l’Histoire et l’avenir de la littérature en Haïti. Avec Trouillot, nous traversons des siècles et des continents, tout en rendant hommage au pouvoir qu’ont les mots de créer un monde nouveau. “Mobility and the Enunciation of Freedom in Urban Saint-Domingue.” Eighteenth Century Studies 50.2 (2017): 213-229. In Haitian History: New Perspectives , Alyssa Sepinwall notes that recent scholarship has increasingly examined questions of voice and agency in documenting and revising Haitian history. Questions such as “Whose history is recorded in the archives? How can historians try to uncover the ideas and experiences of non-elites? ” invite critical reflection on what it means to foreground the voices of those who have largely remained marginalized in historical narratives.9 Thus in the absence of their direct or reported speech, how might we attempt to hear the slaves who moved about Le Cap in the years preceding the revolution? 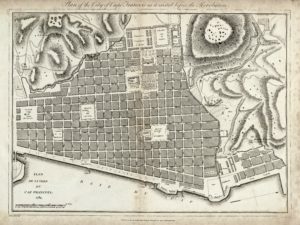 A careful examination of the mobility of slaves and free people of color in Le Cap, then, allows us to better hear the contestation over space, race, and power that was ongoing in Saint-Domingue’s most prosperous city on the eve of revolution. "Beyond the Great Camouflage: Haiti in Suzanne Césaire's Politics and Poetics of Liberation." Small Axe: A Caribbean Journal of Criticism 20.2 (2016): 1-13. The goal of this essay is not to offer a corrective, definitive biography of Césaire. 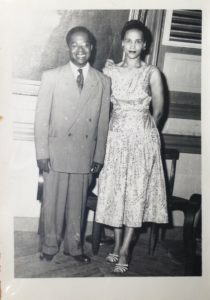 Rather, my objective is to resituate her work in the context of a particularly elusive chapter of her life—her five-month stay in Haiti in 1944 with her husband. Given the well-documented influence of Haiti on Aimé’s articulation of Negritude, how did Suzanne’s time on the island impact her understanding of Caribbean identity? What role did she play in the political upheaval that followed her departure from Haiti? Grappling with these questions requires foregrounding the political dimensions of Césaire’s writings during World War II with a specific focus on her engagement with Haiti. “Creolizing Freedom: French-Creole Translations of Liberty and Equality in the Haitian Revolution.” Slavery & Abolition: A Journal of Slave and Post-Slave Studies 36.1 (2015): 111-123. 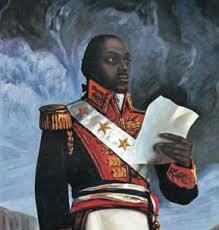 During the Haitian Revolution, members of the French government produced official proclamations containing laws that sought to regulate liberty and define citizenship for the ex-slaves. The proclamations were in turn translated from French into Creole to be read aloud. The signatures of Sonthonax and Bonaparte on these Creole documents bear witness to the role of translation as a vehicle for the movement of revolutionary ideals between France and Saint-Domingue. Through rhetorical strategies like omissions, repetition, and call-and-response, the anonymous translators often subverted French power and authority, producing Creole versions of these official proclamations that were often more inclusive and created space for the audience of ex-slaves to participate in debating and defining their liberty, equality and citizenship. Scott, V.M, E Dessein, J Ledford, and A Joseph-Gabriel. "Language Awareness in the French Classroom." French Review. 86.6 (2013): 1160-1172. As part of our thinking about the future of French study, we developed a pilot program to address novice-level students’ opinions and beliefs about learning French. Drawing on the principles of the Language Awareness (LA) movement of the late 1980s, we designed three presentations for use in the classroom to guide students in their thinking about foreign language study in general and French study in particular. This article reviews the theoretical principles of LA, describes our three Language Awareness Forums (LAFs), and presents preliminary findings regarding the effectiveness of using the LAFs as part of the regular course of study.